The US President-elect Donald Trump is busy assembling leaders for his cabinet. The 45th President of the United States released a new list of nominees including one Indian American for the seat of Supreme Court’s associate justice left vacant by the late Justice Antonin Scalia. The list has been taken into consideration after the US Election 2016 came to an end on November 8. 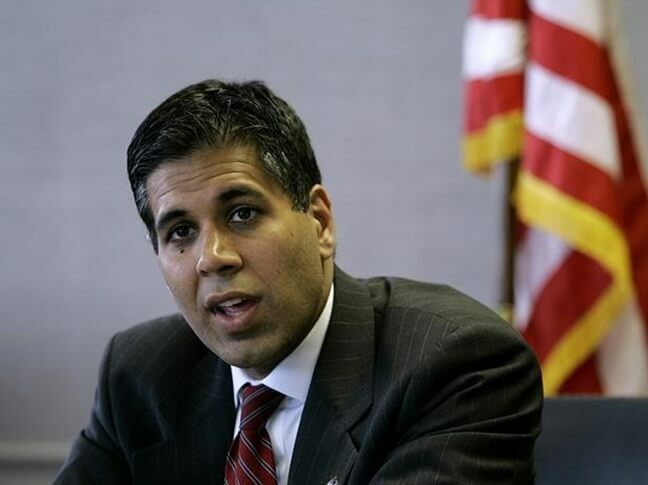 The only Indian American among the 21 nominees for the US Supreme Court is Amul Thapar, a US District Court Judge for the Eastern District of Kentucky. The only one from a minority group in USA to feature on Donald Trump’s list, Amul Thapar is also the first Indian American Article III Judge. Known for his fair and impartial take on the law, Judge Amul Thapar is a graduate in law from the University of California, Berkeley. He was nominated by former US President George W. Bush and selected by the Senate for federal judgeship in 2007. His nomination and selection was also supported by the National Asian Pacific American Bar Association (NAPABA). Born in Detroit, Michigan, Amul Roger Thapar has had an illustrious career in law. He served as adjunct professor in the University of Cincinnati College of Law twice: from 1995 to 1997 and from 2002 to 2006. He gave lessons on federal criminal practice there. In the meantime from 1997 to 1999, he provided his services as an attorney in the corporate law firm of Williams & Connolly in Washington DC. He donned the hat of an adjunct professor at Georgetown University Law Centre as well. During a talk at Columbia Law School in 2015, Indian American Judge Amul Thapar opposed a bill by the US Congress seeking to cut some compulsory sentences for imprisonment short, apprehending a rise in the levels and numbers of crime. He suggested thinking carefully before taking action. He also emphasized the need of addressing the lack of harsh punishment for repeat offenders in the current judicial system, citing that 20% of total prisoners in the US are recidivists. A recipient of the Daniel Inouye Trailblazer Award from NAPABA, Amul R. Thapar is a highly-respected jurist according to eminent leaders from the Indian American community. “The constitutional values and principles our country was founded on are in jeopardy. The responsibility is greater than ever to protect and uphold the Constitution. I will appoint Supreme Court justices, who like Justice Antonin Scalia, will have the highest regard for the Constitution,” said the US President-elect Donald Trump. Trump’s previous list of nominees for vacant seats in the US Supreme Court had drawn flaks in May 2016 for featuring no one from minority groups. However, the latest list is definitive and thumbed up by high-profile leaders, according to Trump.